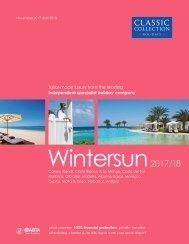 Classic Collection Holidays offer a fabulous range of hotels in the enchanting city of Budapest. A flurry of elegant architecture, enticing restaurants and captivating sights, Budapest is a wonderful place to get lost in. Our featured hotels provide the ideal base from which to explore the city. Feel enthused by the musically inspired Aria Hotel Budapest. An ideal spot from which to explore the city. 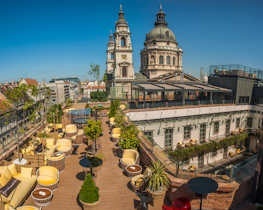 Guests can enjoy fresh, Hungarian and international cuisine in the hotel restaurant, and indulge in a cocktail at the Sky Bar with the city’s awe-inspiring skyline laid out beneath you. 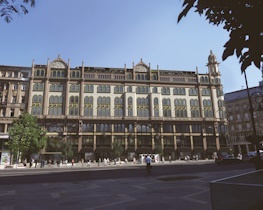 Experience the stylish Prestige Hotel Budapest. Radiating timeless elegance, the hotel offers a relaxed space to unwind after a day of sightseeing. Spend time in the sauna and whirlpool, and reinvigorate your body in time for your next sightseeing adventure. Or visit the Iberostar Grand Budapest. Enjoying a quieter position opposite the gardens of Liberty Square, guests can indulge in traditional Hungarian Cuisine in the hotel restaurant after a blissful massage treatment in the hotel spa. For our full list of hotels in Budapest, please look below. 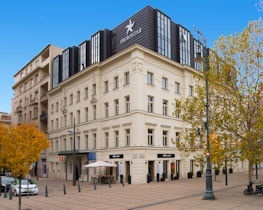 Located in the centre of the Pest district, with the gardens of Liberty Square directly opposite the hotel and the famous Parliament building and the Danube within an easy walk, the impressive Iberostar Grand Budapest occupies a spot on a quiet street and offers attentive service, good facilities and luxurious interiors. On the Pest side of the city on Ferenciek Square and within minutes of the pedestrian area of Vaci Street, recently opened Parisi Udvar Hotel Budapest occupies a magnificent and iconic landmark building. 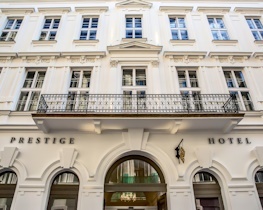 In a peaceful side street just a few paces from the Danube and minutes from the Chain Bridge, St Stephen’s Basilica and the Parliament building, Prestige Hotel Budapest has been rebuilt in the style of the original 19th century town house.